How would you like to get more of your subscribers clicking on every link you send them? Yes that means increasing your email CTR. So, you’ve been doing this email campaign thing for a while now. So why is it that you’re not making a fortune from every email you send? – Said every small business owner, ever. Most businesses see an average CTR of 2-6% on email campaigns, so you can use this as a benchmark for your own performance. It goes without saying however, that the higher your CTR rate is, the better your exposure and sales potential will be. 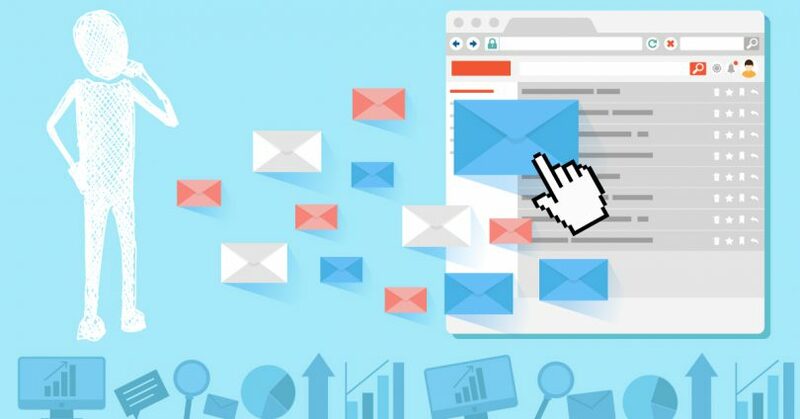 Here are some ways to boost your email CTR. NOTE: The strategies we are about to share with you are focused on increasing your email click through rate. They do not take into consideration the impact of spam filters. When you send out an email to your list, it’s incredibly tempting to add in links to a few different products and services. If your email gets opened then why not cram it full of links to various products to maximise email CTR potential, right? 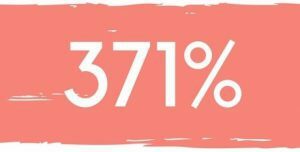 A recent study by WordStream shows that emails with a single call-to-action increased click through rate by a whopping 371%. Read the WordStream article here. By adding multiple offers into one email you dilute the importance of each link. People have a natural desire to be first in line. This applies to everything, including products and knowledge. 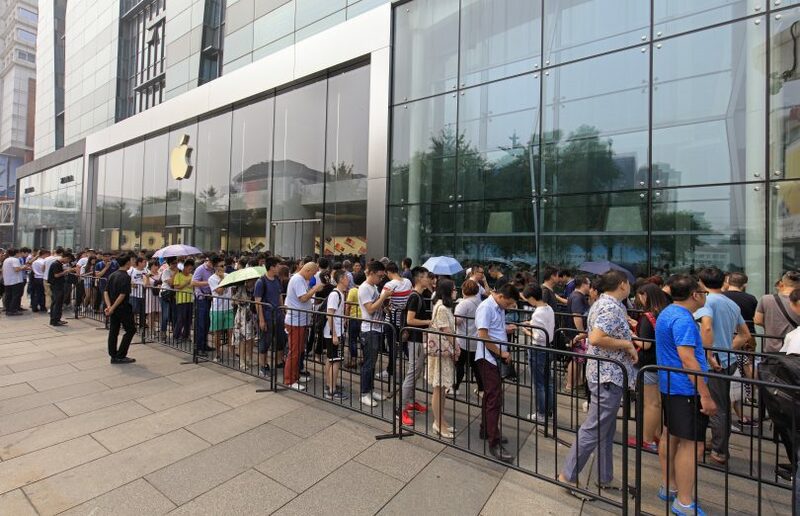 A perfect example of this is the hoards of people that queue for the latest Apple products. People are competing for the opportunity to become one of the first to get their hands on something. You can get more clicks just by letting someone know that you have something shiny and new and that they’re getting a first peek at what it is. It allows you to create a buzz around what you are linking to and getting someone excited about the fact that this is something new, and that they are potentially one of the first people to get their hands on it. This strategy (and the next one) appeals to people’s overwhelming fear of missing out, or as trendy folk would say FOMO. By simply showing someone that there is a limited quantity available, you are letting them know that they have to act fast! Show a live feed of available quantity. Show how many people have already purchased. 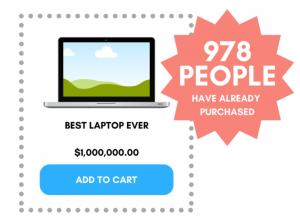 Showing how many people are interested in purchasing vs. available quantity. 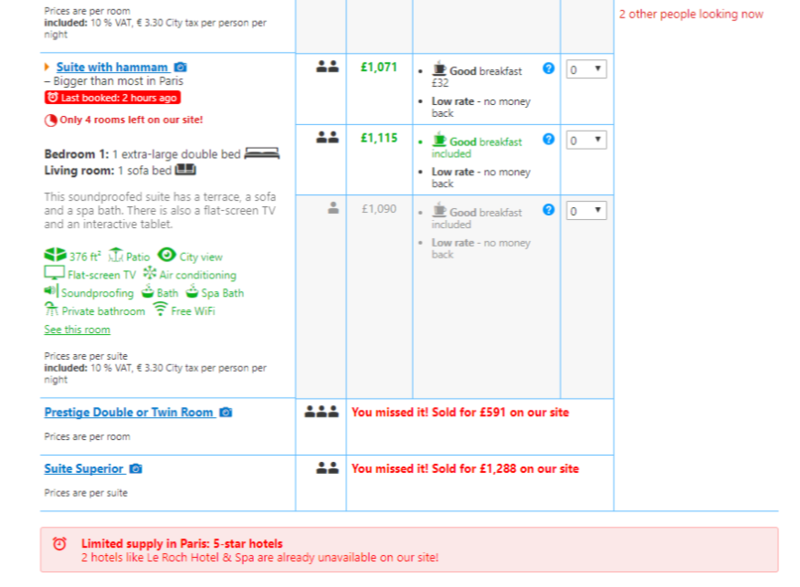 Booking.com use this last method (along with the other two) extremely well. You may have been selling a product or service for quite a long time now. You’ve sent out multiple emails to your list giving them all the tantalising details. But no bite! All of a sudden, this product or service is only available for another 48 hours, after that it will be gone. You’ll miss out! Immediately, anyone who has shown even a little interest or fleetingly considered purchasing is now in panic-mode. They will now be more likely to click your link to find out more. Some of the most effective ways to use urgency in your emails are using deadlines, countdown timers and limited time offers. A really great tool for creating these is NiftyImages. … studies show that you can increase your CTR by up to an impressive 25% by including multiple links to the same offer in a single email. So, how do you include so many links without it looking like a big, cluttered sales pitch? You’re no longer restricted to using old fashioned text links in your emails. There are a number of snazzy ways to make your links really pop. 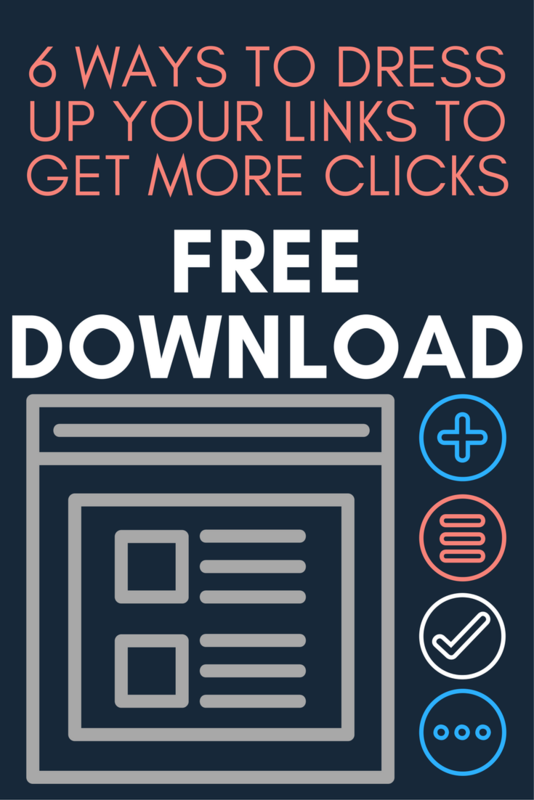 Our FREE guide ‘6 Ways to Dress Your Links for Increased Clicks’ is available to download here. Being clever with how and where you place your links is important, but there’s nothing wrong with being direct sometimes. By actually telling someone what you want them to do they are more likely to do it. It’s important that you don’t make the assumption that people reading your email will know what you want them to do. People won’t click unless they know what’s in it for them. Simply adding in some well-placed, eye catching links might not be enough to entice the majority of people to click through. Telling them exactly what they will be getting if they do, now that should work! Facebook Business tells us that if you can explain the benefits of your link you are more likely to see an increase in email CTR. It could be something simple like letting them know they need to click your link in order to watch a full video. Right up to something super tempting like clicking a link to receive a discount or promotion. If people don’t trust your brand they are unlikely to open your emails, and even more unlikely to click on your links. Becoming a trusted brand takes time, it’s a slow process which pays off in the end when it comes to increasing your average CTR. Always deliver great content. People need to know that you will consistently provide useful and engaging emails and links. Show them who you are and what you do. Giving people a behind the scenes view is a great way of building trust and letting people know that your brand is genuine. Fill the footer. Making sure your email footer is filled with all your company details will let your readers know that you are legitimate and that you aren’t hiding anything. Where you place your links within the body of your email can make a big difference to your CTR. If you place your links at the very top of the email it can sometimes look like you are trying too hard to push a sale. On the other hand, you don't want to place your links too far down in the email. This could cause some people to click away from your email without even getting to where you need them to be. Adding in extra links might seem cheeky, pushy even. However, most email campaigns which include multiple links see a CTR increase of up to 25% according to an article from Campaign Monitor– so give it a go! Multiple links allow you the opportunity to spread out throughout your email, using clever positioning. Sparking the curiosity of a reader is one of the most effective ways to boost your email CTR and see results – fast! You want to offer the reader a teaser, a taster, a little sample of what’s to come. You want to do it in such a way that they just won’t be able to resist. After a crazy long work week, I decided to meet an old friend for lunch. He told me the wildest story about how he grew his business to six figures in just 9 months (without working a 60-hour week)! Click here to find out how he did it. I came across the reviews for the brand new must-have business app and I couldn’t believe what they said! Watch my video here to find out why. It’s simple really – make them curious and then deliver something incredible! What would be the best possible length for an email to maximise click-through rate? The answer may disappoint you slightly, but there isn’t one! The best way to see an overall increase in email CTR is to mix it up. The length of your email really depends on what your call-to-action is going to be. For example, if you have an e-commerce business and you are promoting a 50% off sale it might be better to send out a short and snappy email. One big push towards your call to action. However, if you have a life coaching business and you are promoting a new online course, you may want to make your email longer. This way you can explain more about the product. You can educate on the benefits of the product and you can add in multiple types of links. Think about what it is you want to say, then think about how much text you need to say it effectively. If you are using affiliate links or a third-party shopping cart, for example, chances are they will be long and ugly. When someone sees a long URL it can be difficult for them to know their destination and will be less inclined to click. There are several ‘link cloaking tools’ available, here at Response Suite we use a WordPress plugin in called Pretty Links. With Pretty Links you have a huge range of custom options to play around with and create your own cloaking links. You can also choose to go Pro or stick with the Lite account to suit your needs. 6 Ways To Dress Up Your Links & Send Your Clicks Through The Roof! Join our weekly newsletter today and receive our stunning infographic '6 ways to dress up your links' and crank up your click-throughs! We’d love to discuss your own tried and tested tips for increasing email CTR. I feel the “Show how many people have already purchased” is more social proof than scarcity – The fact that people turn to others when they want help in making a decision (Rather the same way that things such as female tatoos have become the norm of late). Cialdini discusses this well in his “Marketers bible” – the book Influence. Micheal Masterson who is an A grage copywriter and even Joanne Wiebe of Copy Hackers have been pontificating the power of one for decades. Joanna has a particularly good email copy course that teaches this exact thing and its effectiveness. Also the “Button” style cal to actions have recently been made popular by Donald Trump of all people in his emails to his followers. 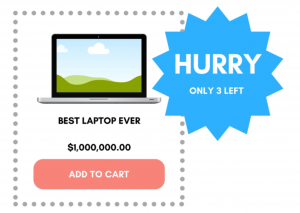 Apparently they did a ton of split testing and found them to be more effective than the old fashioned “Click here to get blah bah” and the “covert” NLP methods of highlighting embedded comands – such as “…and when you visit the sales page… type thing. It’s amazing what the fear of loss can do for sales. OK… it looks like I’d better opt in and get my 6 ways to dress up my links ehh ?? (Nothing worse than a “Naked link” first thing in the morning ehh? Great thoughts Carl, thanks for sharing! You’re right that showing the number of people interested is social proof and if you couple it with availability being lower than the number of folks interested you can multiply your social proof with scarcity too making it even more powerful. As you said, the fear of loss and missing out is a huge motivator for people. Great thoughts! Thanks so much for sharing!